I’m very happy to report that I’ve been granted a two-week residency in the Booranga Cottage next year. I’ll be presenting a workshop on Eco Poetry and also delivering a public reading or lecture. I’ve been reading Robert Macfarlane’s poetic forays into wild places for inspiration. 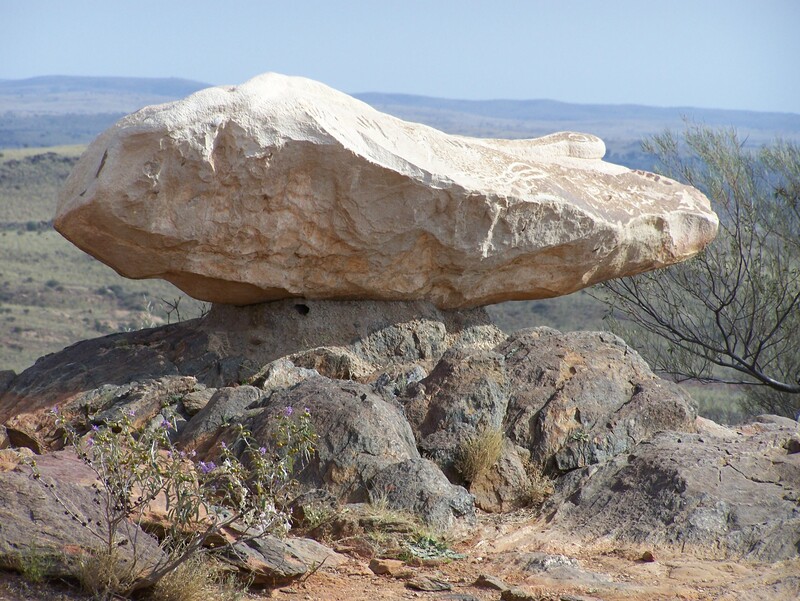 This image is from the Living Desert and Sculptures outside Broken Hill. They’re eroding very rapidly and becoming part of the sandscape. I have a few projects on the go so will use the time to work a couple of collaborations, one with Terry Quinn in the UK and one with Avril Bradley, here in Australia. I also have a lot of poems that need sorting into collections or pamphlets. The Booranga Writers’ Centre was established to serve and promote the interests of local writers, and has been active in the Riverina region since 1994. Visiting Writers-in-Residence give readings, facilitate workshops and are available to mentor local writers, while working on their own projects and enjoying the picturesque grounds around the Booranga Cottage on CSU’s Wagga Wagga Campus. To apply for one of our four annual paid Residencies, please complete the application form, provide the supporting documents listed and email to: booranga@csu.edu.au. Applications for the following year close on 31 May each year. This entry was posted in Blog and tagged Booranga Writers-in-Residence. Bookmark the permalink.